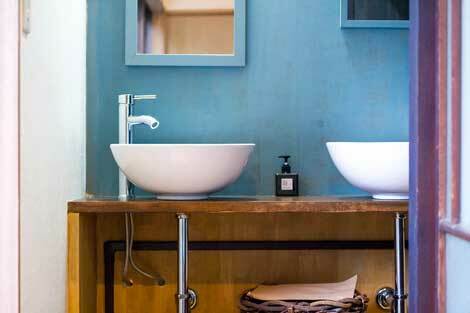 A lot of bag packers from world-wide love to stay in our guesthouse not only for a wonderful couple to stay overnight but guests to have an interchange with local people. We open the guesthouse for cafe at lunch time , Please enjoy to have pasta dishes, soup lunch etc. 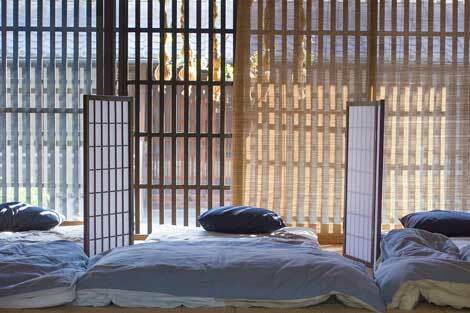 with making yourself relaxing in a Japanese lattice window room. Closed; every Tues .and Weds. e-mail:mado@gmail.plala.or.jp　●The location is here on the map attached.